Can you write a grammatically correct sentence? Do you know how to multiply 3 digit numbers? Most importantly, do you have the desire (and patience) to work with middle school students? We need you as a volunteer at Wy’east Middle School! 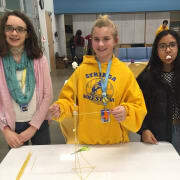 As a volunteer in the ExCEL after school program, you’ll be able to put your knowledge and interests to use to help a middle schooler with their homework or to be a positive role model in a fun after-school club. It counts towards community service hours, looks great on college applications and, most important, is a way to reach out a helping hand to a student. Our club runs Monday, Tuesday, Wednesday and Thursday from 3:30-5:30. You can volunteer on just one day or all four. We look forward to hearing from you! For more information, please respond to this message or contact Pauline Koll at 541-354-4830. Minimum of 2 hours a month.